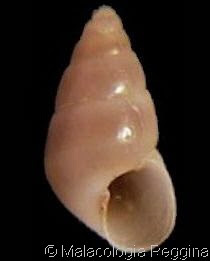 The two millimetre long Barleeia angustata from Japan (assuming that this is not one of the "gastropods previously confused with Barleeia angustata" referred to in this abstract). Photo from here. Seriously, watch it. There are some taxon names out there that seem to have been deliberately designed to provoke misspellings, and the double-e, double-i combination in Barleeiidae definitely puts it up there*. If Google Scholar search results are any indication, then publications using misspellings of Barleeiidae outnumber those using the correct spelling by a factor of ten. Barleeiidae and the type genus Barleeia derive their name from a George Barlee, a retired solicitor who regularly accompanied malacologist J. G. Jeffreys on collecting trips in the early 1800s (Fretter & Graham, 1978). The common name of "barley snails" is sometimes given to barleeiids; it looks more likely to be a mangling of the generic name rather than indicating any specific connection between barleeiids and barley. *As well as providing a good example of the principle that taxonomic names are primarily designed to be written, not spoken. You can try saying that one aloud, but don't be surprised if passers-by think you've sprung a leak. Barleeiidae are a family of marine gastropods found around the world. They belong to the Rissooidea (another tricky name to spell correctly), the same superfamily that includes the Caecidae. 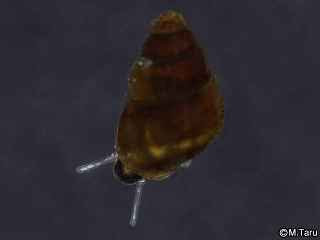 Unlike caecids, barleeiids have a gastropod-ordinary spired shell, usually about one and a half times as tall as wide. One noticeable feature that barleeiids do have in common with caecids, on the other hand, is their size - like caecids, barleeiids are minute, only about one or two millimetres tall. Species such as the north-west Atlantic Barleeia unifasciata live on macroalgae (i.e. seaweed), though their diet seems to be diatoms sitting on the weed more than the weed itself (Fernández et al., 1988). Barleeiid shells are smooth and mostly unornamented except for the protoconch (the very tip of the shell) with numerous fine spiral ridges (Fretter & Graham, 1978). The shell has an inner chitinous layer and the osphradium (the organ a marine gastropod smells with) is relatively large (Kabat & Hershler, 1993). Rissooids as a rule have separate males and females with the internally-fertilised females laying their eggs in lens-shaped capsules; in barleeiids and many other marine rissooids, the glands that secrete the capsule have a fairly basic structure, but in other rissooid families, particularly those including terrestrial and freshwater species, the oviduct glands become more complex. Barleeia unifasciata. Photo from here. The number of described species of barleeiids seems to be very small, possibly even less than twenty (see the Atlas of Living Australia listings, for instance), all but a few of which are included in Barleeia. The ALA listing (and other sources such as Wikipedia) includes the genus Amphithalamus in Barleeiidae, but Bouchet et al. (2005) placed that genus in the related but separate family Anabathridae. In view of their wide distribution, it seems certain that the small number of described barleiid species indicates a low level of study, and anyone willing to take on the study of such small animals would be bound to be rewarded with a wealth of new taxa. Fernández, E., R. Anadón & C. Fernández. 1988. Life histories and growth of the gastropods Bittium reticulatum and Barleeia unifasciata inhabiting the seaweed Gelidium latifolium. Journal of Molluscan Studies 54: 119-129. Fretter, V., & A. Graham. 1978. The prosobranch molluscs of Britain and Denmark. Part 4 - marine Rissoacea. Journal of Molluscan Studies Supplement 6. Kabat, A. R., & R. Hershler. 1993. The prosobranch snail family Hydrobiidae (Gastropoda: Rissooidea): review of classification and supraspecific taxa. Smithsonian Contributions to Zoology 547. Another taxon that cries out to be misspelled: Rhamphorhynchus. I am forever forgetting one or more of the "h"s. And after all, Ramphoryncus would work just as well. Something else that almost seems designed for misspelling: there are some plant genera that end in -aea, so tribes with such a type genus have names ending in -aeeae. Real example: Linnaeeae (now apparently raised to family level as Linnaeaceae).